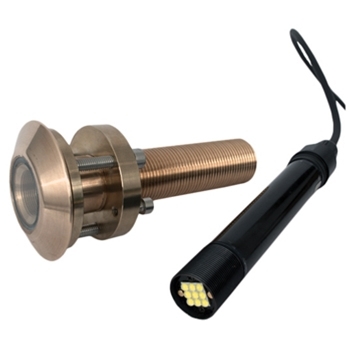 The Lumishore ORA TIX 202 is the world’s smallest interchangeable Thru-Hull light fixture with a built-in driver for trouble-free operation for years to come. It can be serviced from inside the hull without hauling, and offers unparalleled performance for small to medium size boats of almost any type with 4,100 fixture lumens and a focused 60° beam. Designed for bottom, transom or side hull installations and operates on 12 or 24VDC Systems.